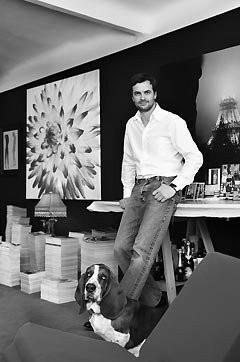 LEMONIEZ was founded in 1997 by designer Fernando Lemoniez (San Sebastian 1964). Its mission is to design, produce and distribute beautiful and elegant garments for real women, using the best fabrics and the most innovative couture techniques. Fernando Lemoniez (San Sebastián, 1964) has been linked to the fashion world since his early youth. He opened Descoco, his first shop and atelier in San Sebastian in the mid-eighties. Descoco was a multi-brand shop where he also showed his first designs. In 1986, he presented his first completed collection under the brand Exequo. From 1991 to 1997 he created, in collaboration, the Palacio & Lemoniez collections. These were shown initially in Pasarela Cibeles, former Madrid Fashion Week and, from 1996, in Paris in the frame of the official schedule of the Chambre Syndicale du Prêt-à-Porter des Couturiers et des Créateurs de Mode. Palacio & Lemoniez collections had great commercial success and were sold in the USA, Japan and several European countries. He also designed an evening wear collection for the Italian firm Genny. In 1998, Fernando had the privilege of working at the Yves Saint Laurent Haute Couture atelier where he improved his knowledge of the Haute Couture techniques. At the same time, he founded LEMONIEZ, his current brand, which showed its first collections in Paris. From the year 2000, LEMONIEZ shows its collections in Pasarela Cibeles Madrid (current Mercedes Benz Fashion Week). Besides women’s wear, LEMONIEZ has designed jewels, sunglasses, handbags, shoes, etc. under his own name or in collaboration with other brands. Among others, Lemoniez’s collections of jewels designed for Suarez in 2006 and 2007 and the capsule collection –shoes and handbags- made for Fosco in 2011 truly stand out.. From 2012, LEMONIEZ designs fashion for girls under the name Señorita LEMONIEZ. Fernando Lemoniez has been distinguished with several recognitions such as the T de Telva, in 1992 and 1995 as well as the Moda Getxo Acknowledgment in 2011. “My work helps me to preserve my identity and I feel rewarded when women identify themselves with it and find through it their own one. From that moment, a relationship of complicity and mutual respect arises between my client and me. Each one of the fabrics I use belongs to an encounter full of energy, a strongly desired moment. Colors transmit excitement and feeling, calculated shapes are inevitably the result of an unsatisfied search for perfection.